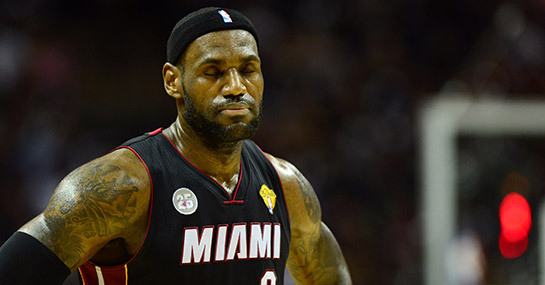 Miami are in real trouble and need the win to avoid losing their NBA title. San Antonio have a 3-2 lead after the first five match-ups, moving ahead of the defending champions after a 114-104 victory in Game 5, in which their key men Tim Duncan and Tony Parker were mightily impressive. Another victory here would take the Spurs to 5-0 in NBA Finals, just one fewer than the 6-0 Chicago Bulls, the only side to have been to six Finals and never suffered a loss. Gregg Popovich’s men are 13/5 to secure the win they need in order to be crowned NBA champions. The Heat will have to become just the third team to overturn a 3-2 deficit going in to Game 6 if they are to retain their title. Erik Spoelstra’s side are 5/16 to be the victor in this game, and will be buoyed by the fact neither team have won successive matches in this series so far. His team are 4-1 in their previous five at the AmericanAirlines Arena. The home side also have a fabulous home record this year, going 21-4 in 25 in Miami. This year’s Finals has not only seen a trend of yoyo results but each defeat has been followed up with a comfortable victory for the previous losers, with both teams yet to click on the same night.